Dr. Horwitz is a native of Beaumont, Texas. He attended the University of Texas at Austin and in 1961, graduated from the University of Texas Dental Branch at Houston, where, after serving two years in the Air Force, he held a clinical appointment in Operative Dentistry and Endodontics. Currently, he holds a clinical appointment at the Dental Branch in the Department of Crown and Bridge Prosthodontics and annually delivers the lecture on dental ethics to new students and their families. Dr. Horwitz has been in full- time private practice in Houston throughout his career, during which he has been a distinguished and active member of the profession. He is a member of the American Dental Association, where he has held various leadership positions; the Texas Dental Association; and the Greater Houston Dental Society, where he has served as president, vice-president, secretary and treasurer. He holds a membership in other of the professions most important organizations, including the Academy of General Dentistry, the American Association of Endodontics, the American Society of Dentistry for Children, the American Equilibration Society, Xi Psi Phi Dental Fraternity, Alpha Omega International Dental Fraternity, and the Federation of Prosthodontics Organizations. He was a member of the first class of the renown Pankey Institute, which is devoted to promoting excellence in clinical practice, and frequently attends the Institute’s continuum courses. His professional colleagues have acknowledged Dr. Horwitz and his contributions to the profession numerous times. He has been named a Fellow of the American College of Dentists, the International College of Dentists, and the Academy of General Dentistry. The University of Texas Dental Branch Alumni Association recognized him with its Master Practitioner Award and in 2010, its Distinguished Alumnus Award. Service to the community is very important to Dr. Horwitz. 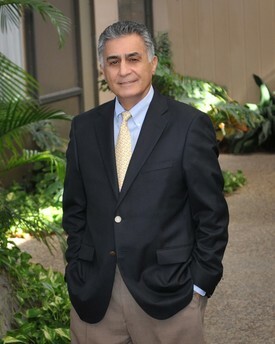 He has been active in numerous community organizations and has chaired the Greater Houston Dental Society United Way Campaign and served on the board of the Houston Jewish Community Center. The synagogue has been a major focus for him and he has served Congregation Beth Yeshurun as president, vice-president, and chairman of the Education Committee. In recognition of his efforts, the synagogue and Alpha Omega named him, Man of the Year. A college athlete, Dr. Horwitz is an enthusiastic basketball player and golfer. The father of three grown children, Jeff, Scott, and Valerie, he is now enjoying his role of grandfather.